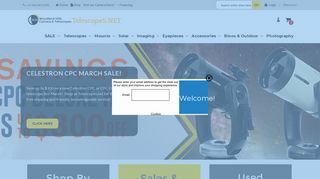 Dan’s Camera City – Offers a wide selection of photo equipment, supplies, and accessories. 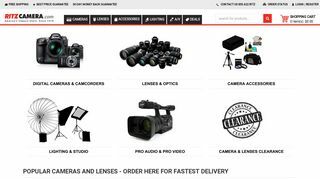 Glazer’s Camera Supply – Full service store of new and used photographic equipment for pro and amateur. Adorama Camera – A selection of new and used photographic equipment, accessories, and darkroom supplies as well as rentals. 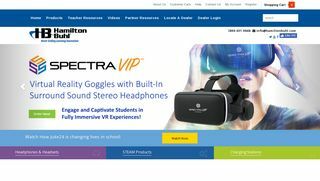 Hamilton Electronics – Manufacturer of audio and video equipment. Specialized in equipment for schools and churches. 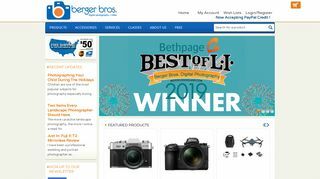 Berger Bros. – Offering film and digital cameras, camcorders, binoculars, and digital and accessories. 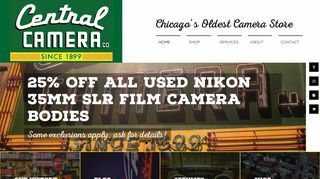 Central Camera – Photographic equipment, supplies, books, and a photo gallery. Woodland Hills Camera – Large selection of cameras, binoculars, telescopes and accessories. Thompson Photo Products – East Tennessee’s largest supplier of new and used photographic equipment. Knoxville, TN. Ritz Interactive, Inc. – Includes GPS equipment, cameras, digital accessories, camcorders, VCRs, and editing equipment. 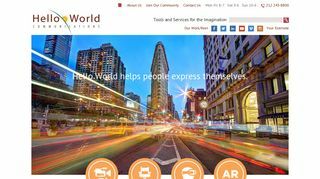 Hello World Communications – New York based store offering audio, video, and communications rentals. Phone call required for ordering. 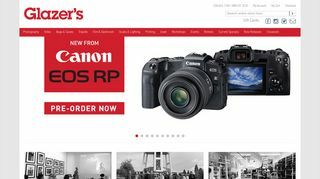 Dents Photographic – New and used photographic equipment, cameras, lenses, telescopes, and microscopes. UK. 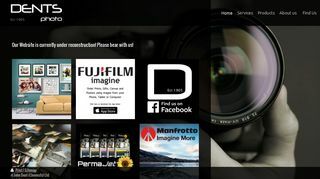 Fotoclubinc.com – Distributor of photographic and digital imaging products.